The Orkney Sports Awards return once more to celebrate the county’s sporting successes over the last year. 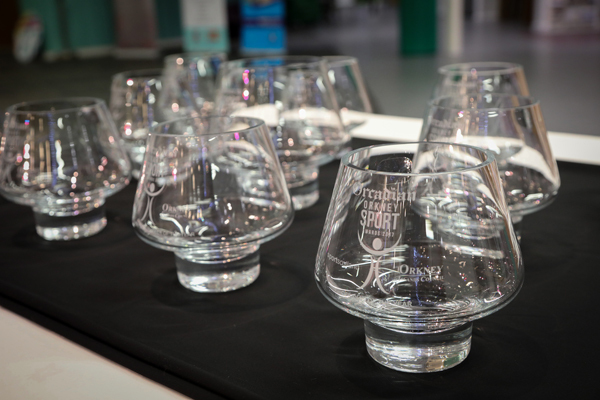 The prestigious Orkney Sports Awards is now open for nominations. The awards celebrate the county’s sporting successes and achievements during 2018, and the Orkney public are being urged to submit their nominations as early as possible. The nomination period will close at midnight on Sunday, December 2, and it is imperative that the Orkney public — who have provided great backing to the awards in recent years — support the event once more. The event will take place on Friday, January 25, 2019. There are nine awards up for grabs — the Sportsperson of the Year, Young Sportsperson of the Year, Team of the Year, Young Team of the Year, Coach of the Year, Volunteer of the Year, Young Volunteer of the Year, School Sports Volunteer of the Year and Official of the Year awards. There will also be a Performance of the Year Award which will be announced at a later date. There are several methods to nominate. A nomination form is included in this week’s The Orcadian which can be returned to Orkney Islands Council’s Active Schools team or email your vote into active-schools@orkney.gov.uk. Nominations can also be made through The Orcadian’s Facebook and Twitter feeds or the Active Schools Orkney Facebook Page. Please include name and category. Catherine Johnson, of Orkney Island Council’s Active Schools team, who organise the event, said: “The Orkney Sports Awards have become fully ingrained in the sporting calendar and this is down to the Orkney public. “Every award is hotly contested, which is a fantastic indicator of the strength of the local sporting scene in the county. “This is your awards and an opportunity to recognise those individuals who make an outstanding contribution — whether it is in competition, volunteering or officiating.